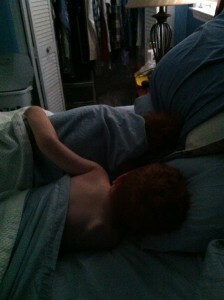 My sweet boys sleeping. <3 B has his arm around his big brother. They’re both very snuggly.